Star lovers, rejoice! There are plenty of stars to be made for this, our Spring 2016 Mystery Quilt, "Winter Constellation". Make it in one of two sizes for yourself, or someone you love! "Winter Constellation" is Yankee Pride's Spring 2016 Mystery Quilt. This quilt is easily achievable by a confident beginner. 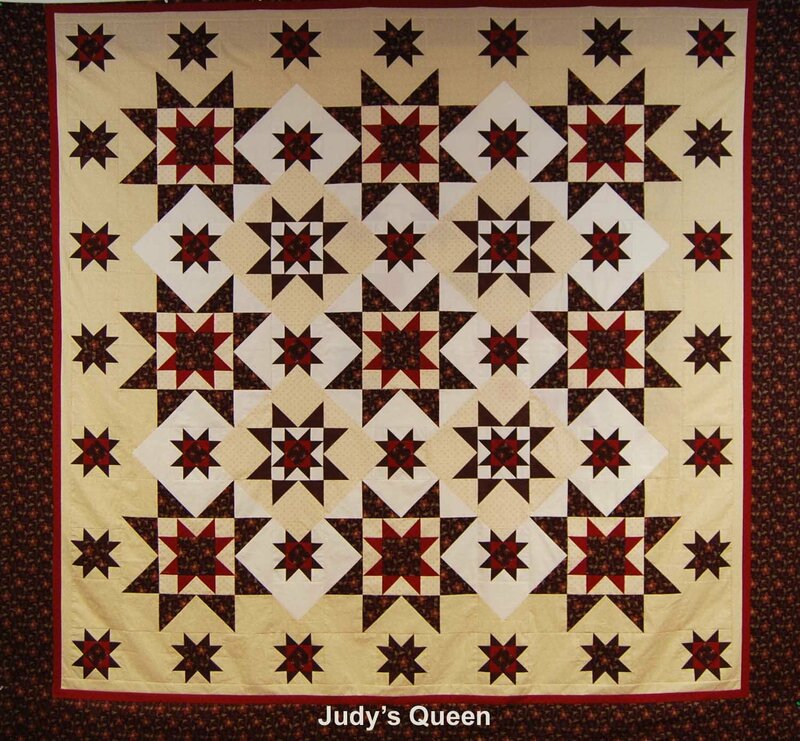 Our Mystery Quilts are constructed in units, which are later pieced into blocks, so what looks really difficult is actually broken down into smaller, simpler parts. And as a bonus, Judy includes guidance for choosing your fabrics - a huge help to lots of quilters who struggle with this piece. We are also huge fans of Studio 180 rulers, which make cutting, trimming, and sewing faster, and more accurate. You can make this Mystery Quilt in two sizes: Throw, and Queen. Click here for yardage requirements and fabric selection. And check out our students' work from this class in our Spring 2016 Mystery Gallery.